Pair these rings with any of our lids that require a band for a bold pop of color! Bands are painted metal. 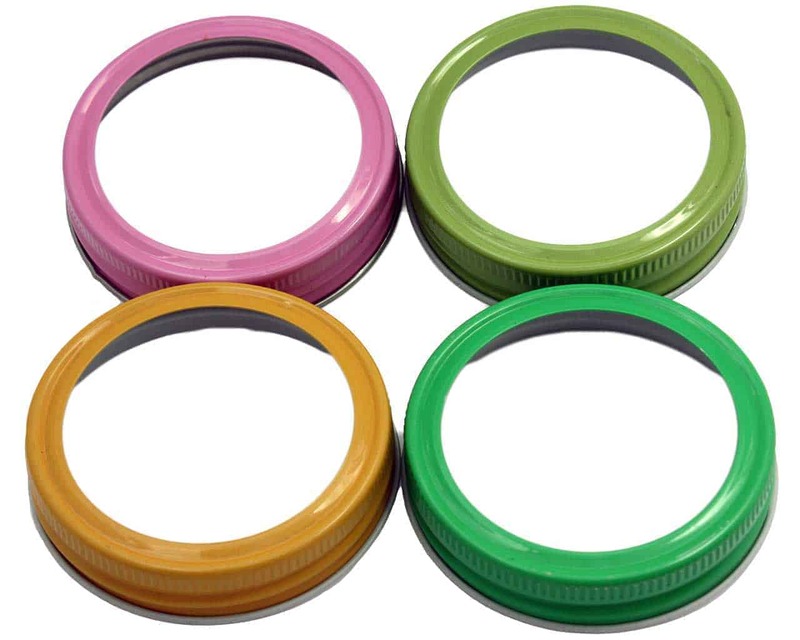 Tip: Use these colorful bands with any of our specialty regular mouth lid inserts to take your jar to the next level! Great for gifts! Get rid of your boring standard canning bands! These adorable rings will dress up any jar! Perfect for crafts, gifts, pantry storage, canning, drinking lids, almost anything!